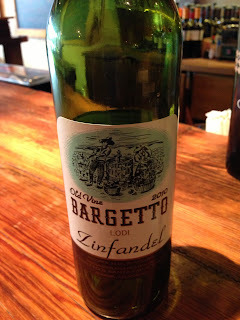 This past Sunday night my husband and I decided to check out a wine bar and tapas restaurant that we had heard great things about. 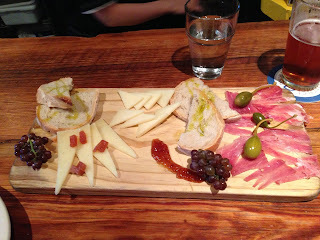 After reading several positive Yelp reviews, we headed over to Massapequa to Salumi Tapas and Wine. What a treat! We sat at the rustic wooden bar and were greeted by two friendly, hipster-ish bartenders who were incredibly knowledgeable about the wine and food selection - always a plus in my book. 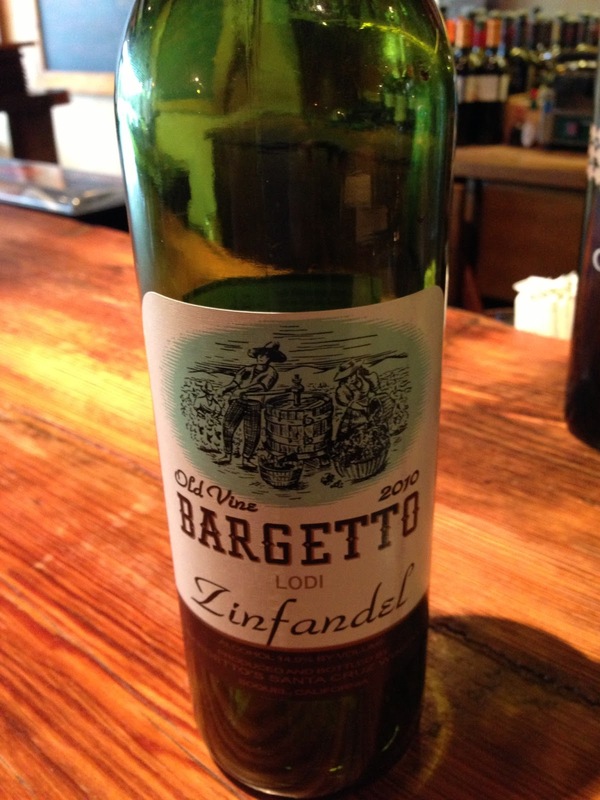 I started off with a glass of 2010 Zinfandel from Bargetto winery in Lodi, California. It was perfect. We had the walnut pesto on Salumi's house-made bread which is perfectly spongy with a crusty outside (totally addictive), a meat and cheese plate of serrano ham (cut to order in front of you from a giant ham at the end of the bar), Spanish manchego and gruyere. The meat and cheese plate was served with giant caperberries, mini grapes, fig jam, quince paste and drizzled with really good olive oil. Perfection. We then tried the empanada of the day, which was giant, filled with smoky Moroccan chicken wrapped in a flaky crust dusted with ... wait for it ... cinnamon sugar! What a pleasant surprise! We also ordered a side of bread - because it was that addictive - which was drizzled with that fantastic-ly fruity olive oil and sprinkled with sea salt (possibly kosher salt), and the oxtail, which came in a rich broth and more of that bread (it was a carb-laden evening). 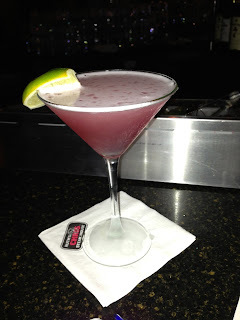 Everything was delicious and the best part of our evening was when we overheard the bartender telling another guest that they were opening another location in Garden City, five minutes from our home in Mineola. This was great news. When they open in September, we will definitely make it a regular spot. I would highly recommend this gem, which brings a bit of Brooklyn or downtown Manhattan to Long Island. We like to come here for happy hour. There is no music but it is a good place to start our evening. Beer galore. Good apps. Friendly staff.excellent service.